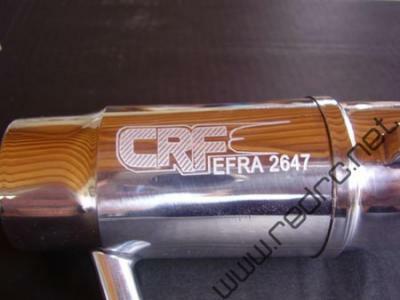 We obtained this spyshot of the latest, as yet to be released, CRF exhaust pipe which has been developed for use with Team Orion Wasp CRF .12 engine and it is one of the first fruits of the partnership between Adrien Bertin and his new employer Team Orion. This exhaust is supposed to give, whats already a very quick engine even more punch, especially in the bottom end, and we were also told that this pipe was used by Adrien in combination with the Wasp CRF .12 at the Melzo track in Italy to hit a top speed of 107 kmh, while his previous fastest speed, with Sirio, was only 103kmh, which is quite a big difference. We hope to bring you more information when this exhaust is released in the near future. 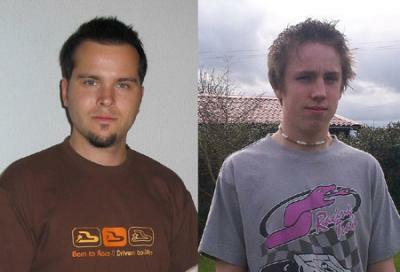 LRP have announced some new additions to their 2007 Factory team that will run with their products in the coming season. All champions in varying classes, Martin Hudy is the first new addition, this years Snowbirds 19T rubber winner, Martin has been improving year on year and will be a good addition to the team. Other driver include Thomas Gunsel, who has been tearing up the tracks in the lower ranks, current French National Champion Cyril N’Diaye who recently signed to Xray as well as 1/12th scale specialist Alexander Stocker and 5th scale champ Markus Feldmann. To read all the drivers full profiles go here. Today saw the running of the 1st round of the Spanish National championships for 200mm held in Gijon. The race was won by 3rd placed qualifier Javier Hidalgo, driving a Serpent 720, who managed to pull out a lap on Kyosho racer Luis Cayetano who finished 2nd while a lap further back in 3rd place was Jose Casas who gained the final podium spot driving a Serpent 710. This race was the first national event for the Xray NT1 with the new car gaining 3 spots in the main final with Carlos Peracho bringing the car home the highest in 5th. 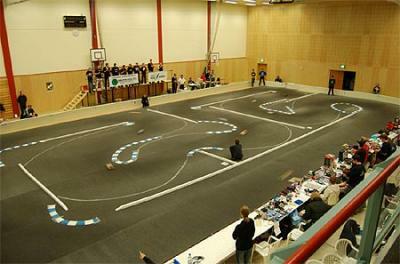 Xray are reporting on last weekends round of the Fintrack indoor series that took place on the Ylistaro track. Racing was very close in the modified class with the gap between 1st and 10th only 5 seconds and between Juho (1st) and Teemu (2nd) the gap was only 0.2 sec. Associated racer Levanen went on to win the modified class followed by Xray racer Teemu Leino in 2nd and Corally racer Simo Ahoniemi in 3rd. In Pro Stock it was Xray racer Janne Valtanen that took the win followed by team mate Jukka-Pekka Huhtala in 2nd and Ari Lappi in 3rd. We were asked by the organisers of this months EFRA GP in Norway to give the event a mention on the site, so here it is. The event will take place in Sarpsborg, Norway on the 17th – 18th of March, so if you have nothing in your racing calendar in 2 weeks time and fancy a trip to Norway, this race is for you. The event will cater for EFRA classes 1/10 touring and 1/12th track as well as hosting a non EFRA support class for super stock touring. You can find out all the information for the event here. UPDATE: This Event has been canceled due to lack of entries. Read more here. We received a mail from the guys over at Bonisio informing us that the entries for this years Euro ‘B’ Championships, in Tolmin Slovenia, are filling up fast and attracting some quality drivers to boot. British Junior Champion Ian Campbell and Slovenian National Champion Jernej Vuga are the latest Champions to confirm their entry for the EFRA European Championship 1:8 IC Track B 2007 that takes place on the 25th – 27th of May. The latter driver has the benefit of local track knowledge, which combined with international experience and having been a Vice Champion at the 2003 Euro B’s in Switzerland, will make Vuga one of the favourites for the event. Vuga has also confirmed his move from Serpent to new sponsor, Mugen, for the 2007 season. 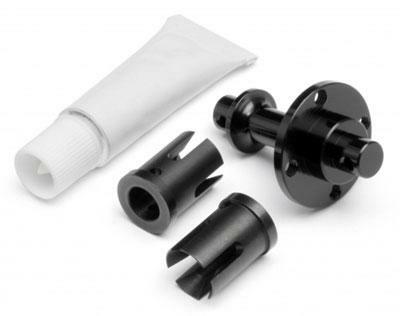 Hot Bodies have released this front solid axle set for use with their Cyclone 190mm toruing car. This axle comes as standard with the Cyclone World Champion Edition and now it is available to be used in all other versions of the car. The Version 3 of this axle set uses steel outdrives which increases durability and therefore increases the time between rebuilds. Using the valuable ‘spool’ effect, you will get maximum front traction on all types of tracks. From tight, twisty tracks with high traction to wide, low traction surfaces, you get the advantage of outbraking the competition and turning tight into the corner! Our good friends over at Spanish site Coches RC have asked us to put up a post about their upcoming race to be held in Bilbao, Spain. Being run for the 5th time, this years event will take place on the 16th to 18th of March at the Mega Park circuit in the city and will run with 1/10th 200mm as well as 1/8th Rally Game and 1/18th Micro classes. The event is open to everyone and international visitors are welcome to race and take part in the fun in the sun. To find out more information go here, and to sign up go here and leave your details.